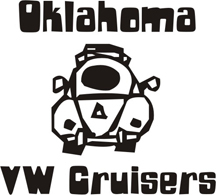 Oklahoma Vw Cruisers • BAD!!! Oil Leak!!! Any advise on what will or how to fix it would be GREAT!! Breather on the oil filler blocked? AAHHH! found it!! it was coming from around my fuel pump!! thats weird! live and learn!!! Thanks for the reply Jim! Well looks like the motor has got some serious issues!! I dropped it off to one of the guys there at Bethany Imports..... hope they can figure out what the problem is!!! lol! Hey Jim where you guys located in OKC? we are all over. im in choctaw. well the motor started to ummm... make some un-natural noise!! lol! Then it locked up!!! There was oil in it and I always checked it before i drove it , just cause it leaked oil.... man it couldnt have come at a worse time either! I miss driving my booger green baja! lol! Ive heard of burns flat. I bet not too many vw out there?